If you’re not into rage yoga and enjoy a peaceful and relaxing setting for your practice, know that there’s more out there than run-of-the-mill studios with wooden floors, burning incense, and New Age music playing in the background. 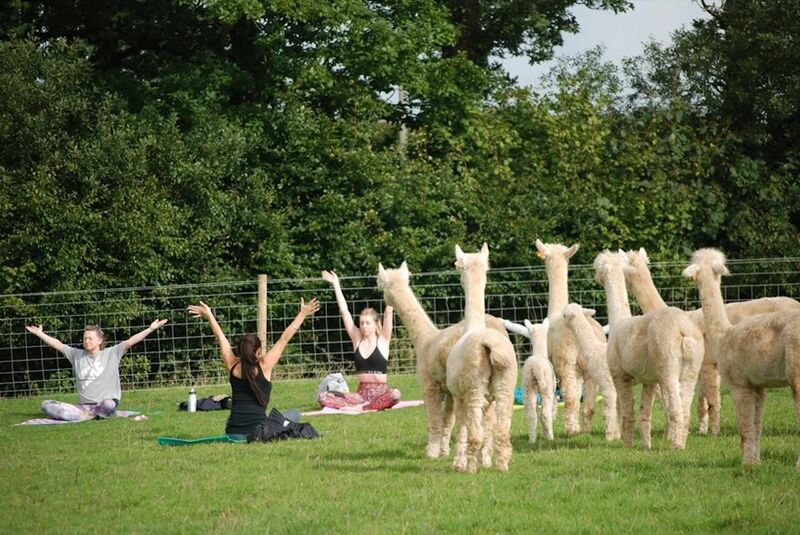 Owners of Rosebud Alpacas — an alpaca farm in Devon, England — combines yoga with alpacas by offering alpaca yoga to guests. 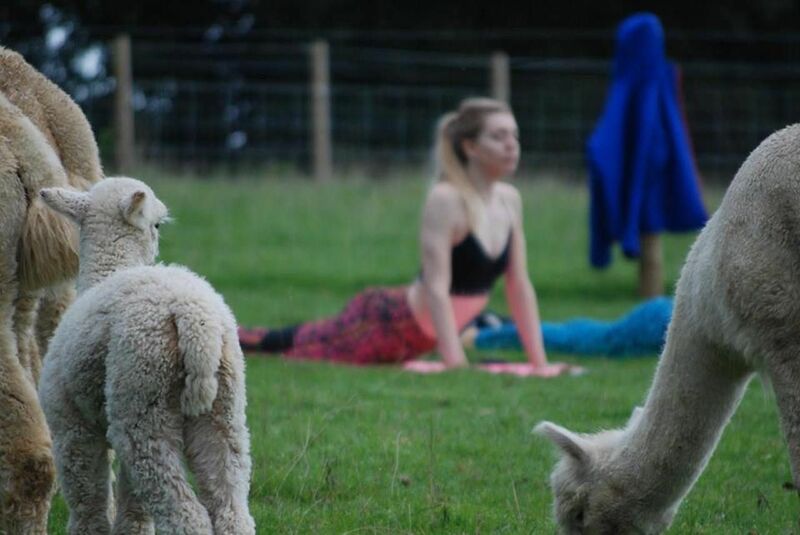 The alpacas are super chill, but they won’t pull downward-facing dog with you — you’ll be practising in a field full of the fluffy mammals while they do their own thing. Nick and Lucy Aylett, the farm’s owners, told The Metro that they want the farm to serve as a “place where people can come to escape, take time out from technology and busy lives, a chance to spend time connecting with the land, the animals and each other.” And don’t worry, the farm gives the alpacas the freedom to move about the farm, approach visitors if they like, or keep to themselves. 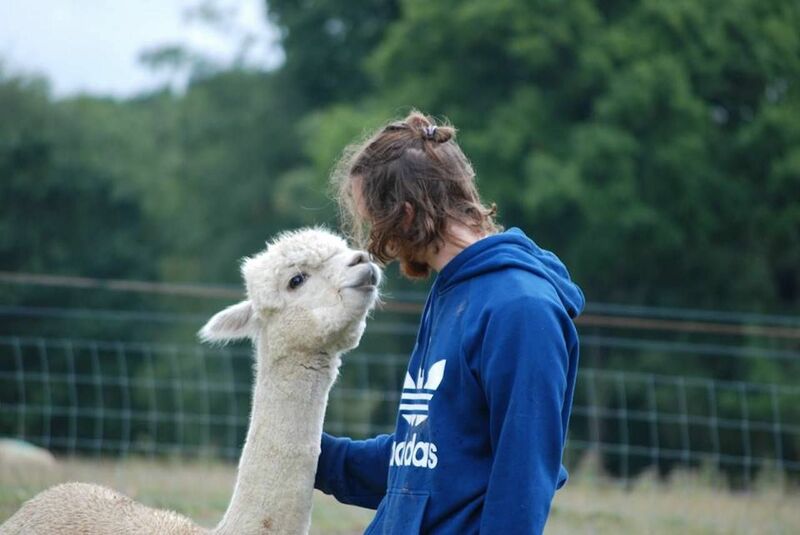 The farm also offers experiences and workshops such as alpaca walking, alpaca Tai Chi, and alpaca art sessions. True alpaca enthusiasts can choose to purchase an “alpaca connection” package that includes a guided meditation and mindful observation of the alpacas. Yoga classes cost $40 per person, and spring classes begin on April 13th. To book, or to browse other alpaca activities offered by the farm, check out the official website.